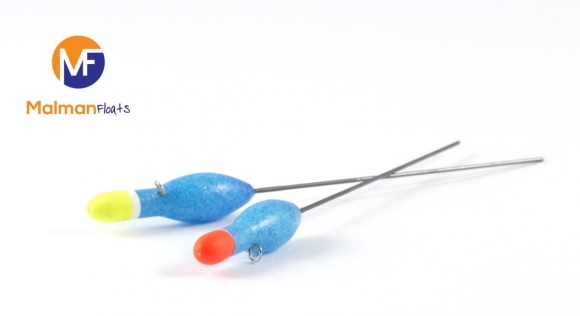 A simple wire stemmed dibber with a B-Foam body for fishing shallow water or up in the water with most baits. Used to devisating effect last summer at woodlands thirsk accounting for countless 100lb+ framing weights. Large strong side eyes and a stem which extends almost to the tip make this dibber much thougher than your standard shop bought float. Now finished in a sky blue/gray ink to make the float less visible in water when fishing shallow.